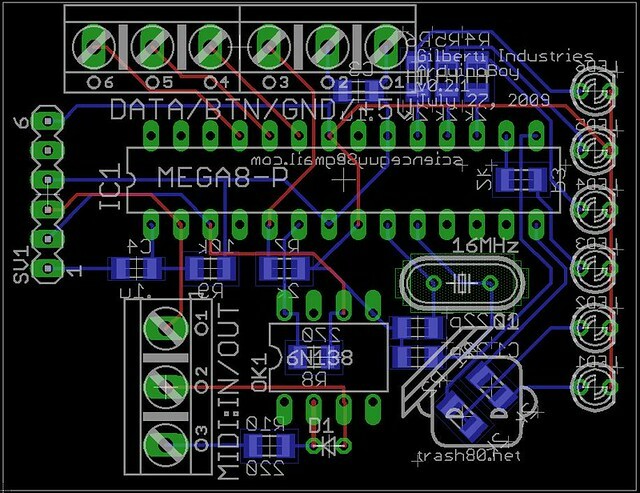 Following on from ArduinoBoys and others and Scaling PDF for PCB, here’s a step by step guide to making Trash80’s ArduinoBoy, on a PCB. 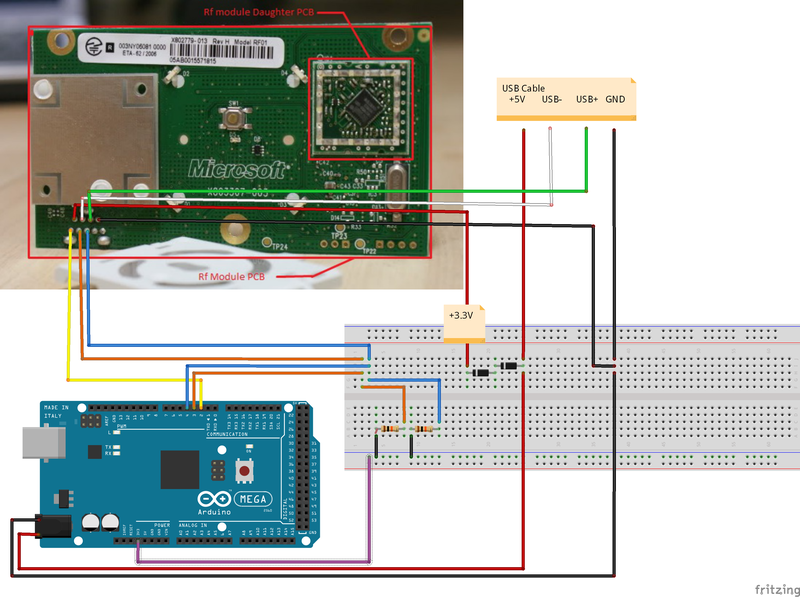 Obviously, you don’t have to use a PCB and you could make the ArduinoBoy using stripboard/veroboard, ProtoShield, or even on a breadboard… see at the bottom for a suggested layouts. BTW, I assume Trash80’s moniker is a nod to the Radio Shack TRS-80? 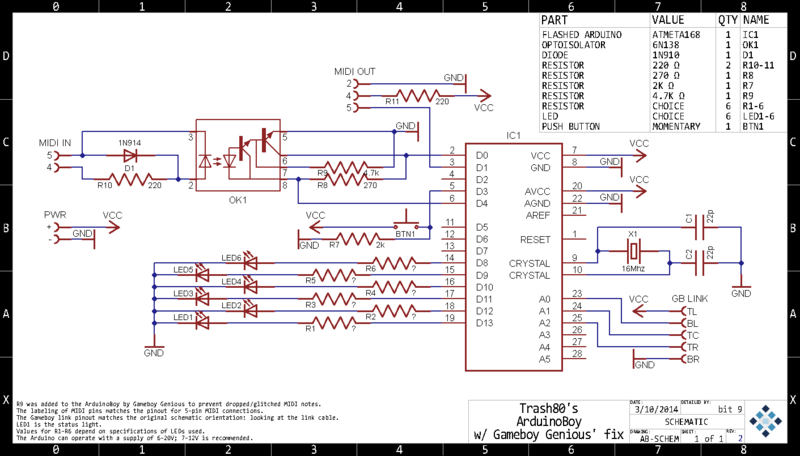 Note: This PCB does not incorporate GameBoy Genius’ fix. 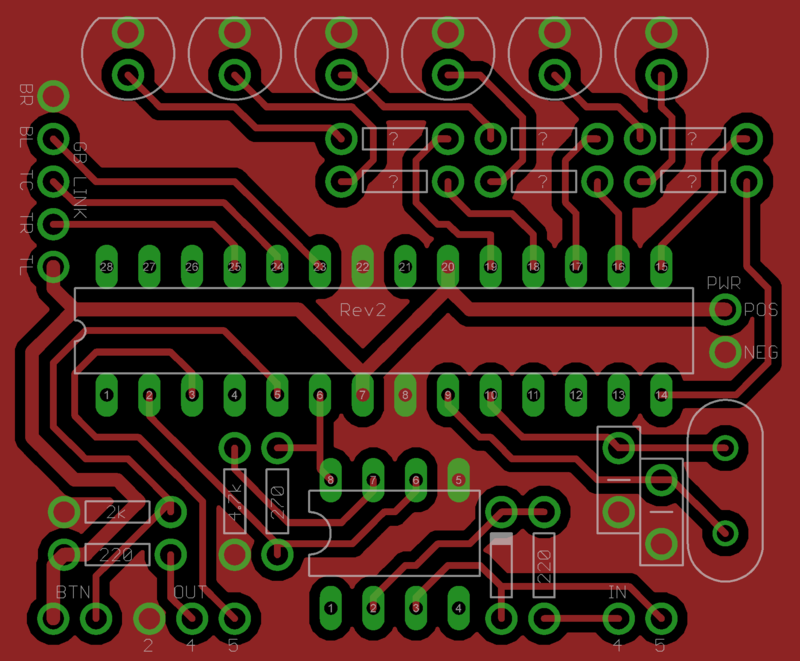 2 x 57PC5F DIN sockets , although the 61NC5F is a superior DIN socket, its foot print will not fit the PCB – although it will fit the stripboard layout (I think). 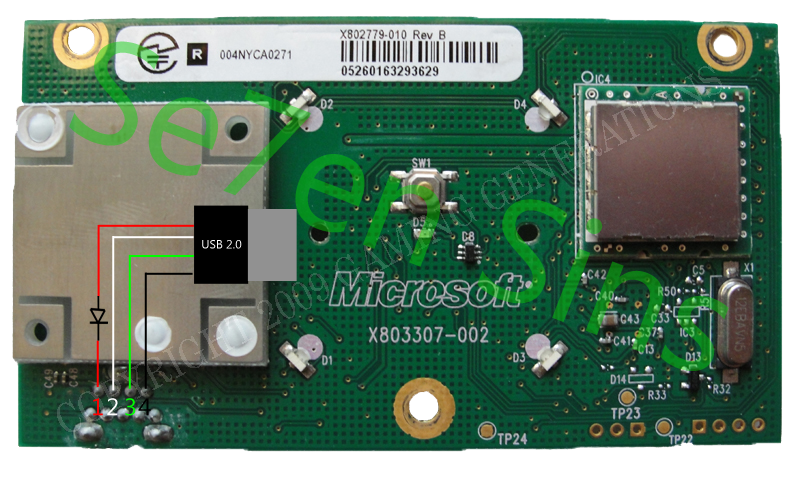 fixing a 5 socket DuPont (female) connector. 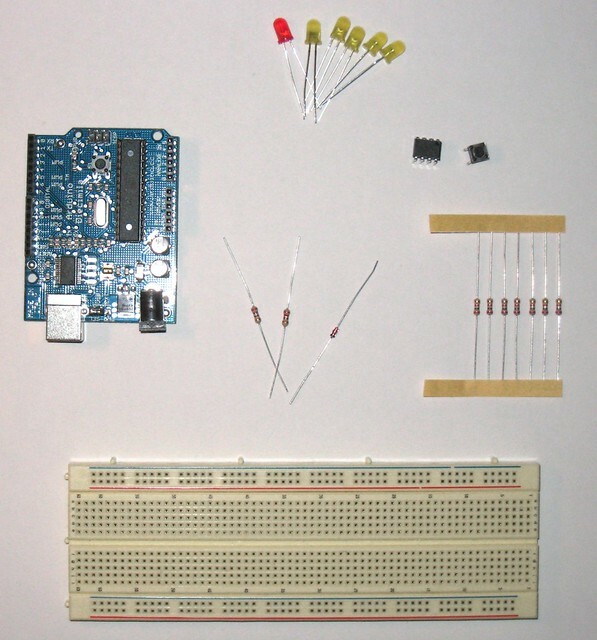 The above schematics assume that an Arduino [Uno] is used. 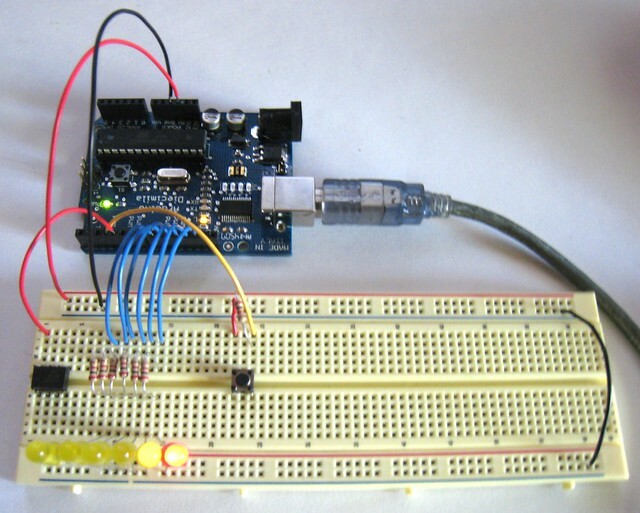 However we are using a barebones setup, using an ATmega328P-PU directly. 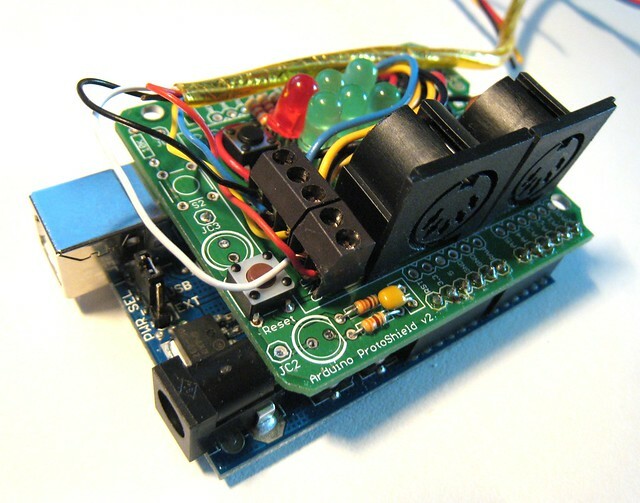 Always solder the smallest components first, as this allows you to use the surface (i.e. 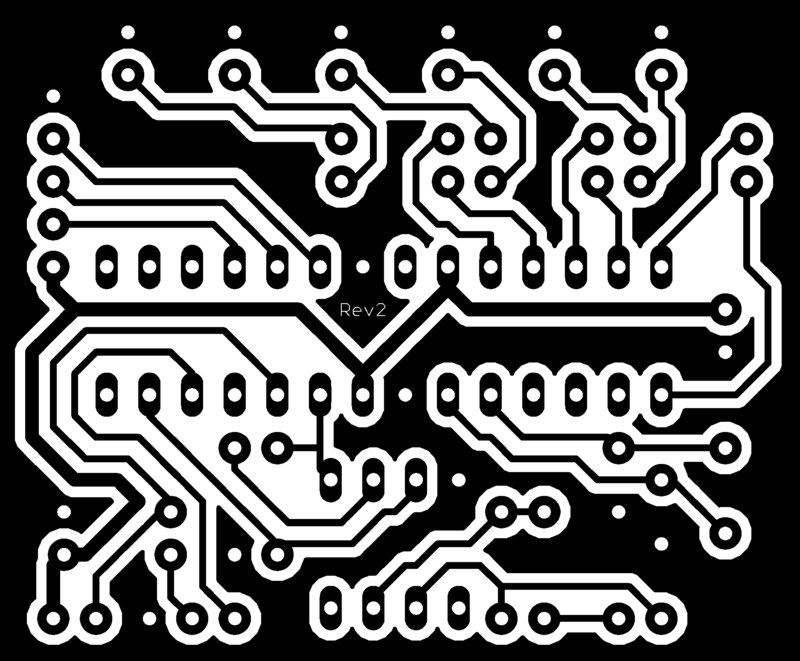 the table/bench) upon which you are constructing to push and hold the legs through the underside of the PCB. 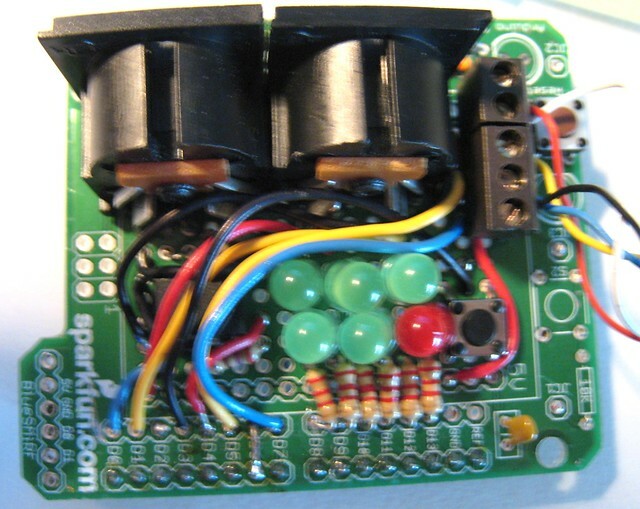 The DIN sockets are not soldered directly to the PCB. 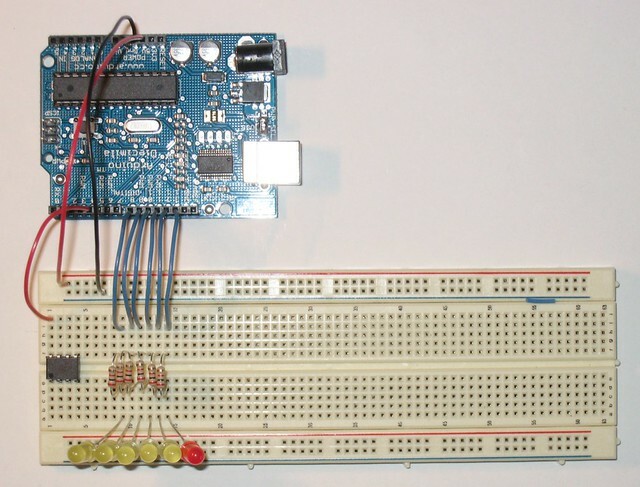 and a 5 pin row of header pins from a 40 Pin 2.54mm Male PCB Single Row Header Strip Connector, soldered to the PCB. 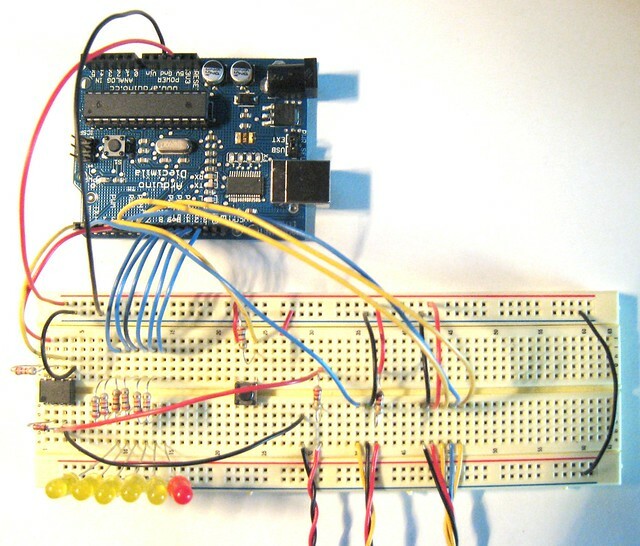 It should be noted that this breadboard layout does not have GameBoy Genius’ fix. 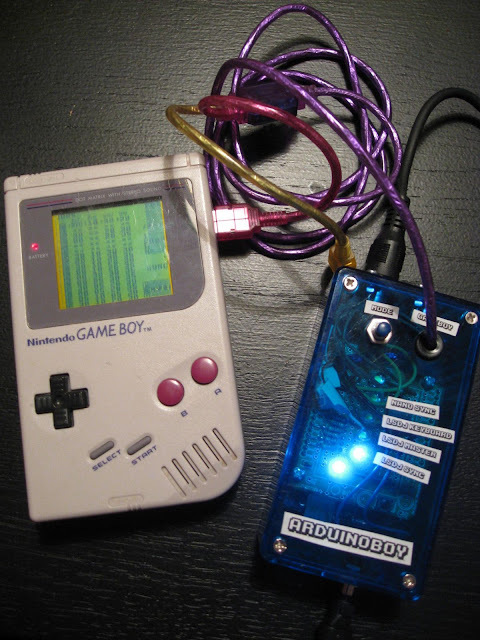 The outputs at the bottom, from left to right, are MIDI in, MIDI out and GameLink. 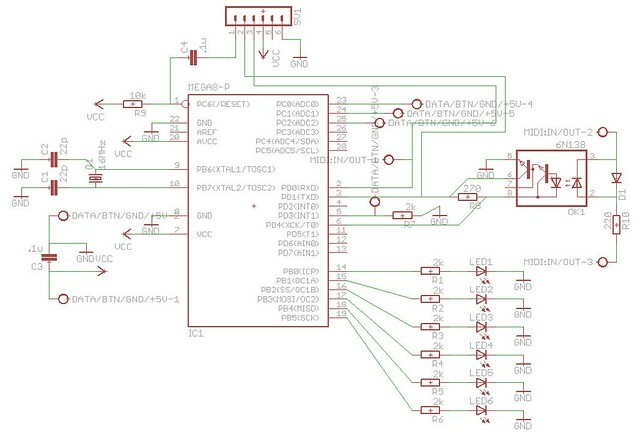 The simplest design would be to follow Trash80’s layout, linked to from trash80/Arduinoboy – Build Photos: Unfortunately, the layout, or rather the connection schema, isn’t particularly clear.